JWC 2016 – Another Great Year! 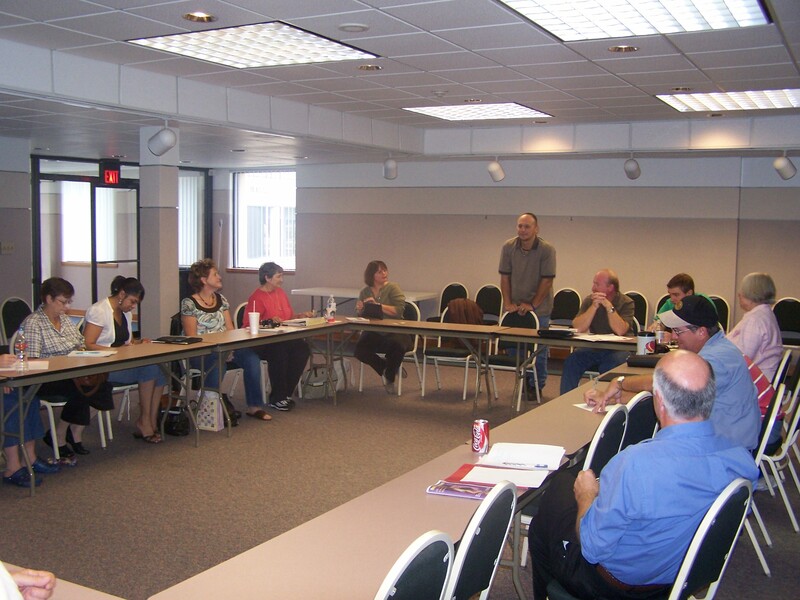 I’m just back from the Jambalaya Writers’ Conference in Houma, LA and, as usual, I had a great time. I can’t say enough good things about Lauren Bordelon and how hard she worked to make this event such a great success. She’s a wonderful host and a joy to be around. I want to extend my sincerest thanks to her for all she did and for inviting us to speak at the conference. It was a rewarding experience. As for our sessions, Amanda and I partnered up to teach a class together in the morning and then I did a second class at lunch. 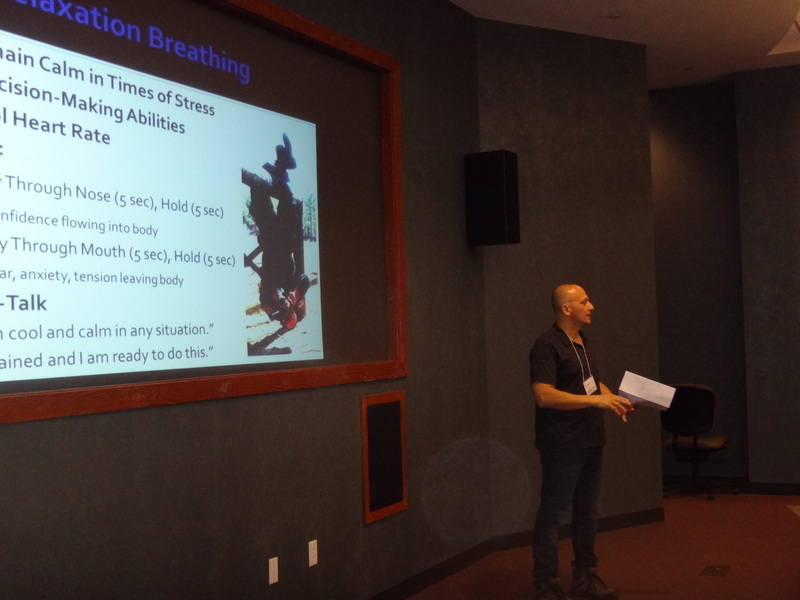 During our combined session, I presented a lesson titled “Inside the Mind of a Police Sniper” and Amanda presented “Trauma and PTSD Symptoms”. I kicked off the presentation by describing the role of a police sniper and detailing the various types of training snipers undergo, with a strong emphasis on mental preparation. Amanda then wrapped it up by defining trauma and PTSD, and she provided information designed to help writers develop believable characters who have endured traumatic situations. 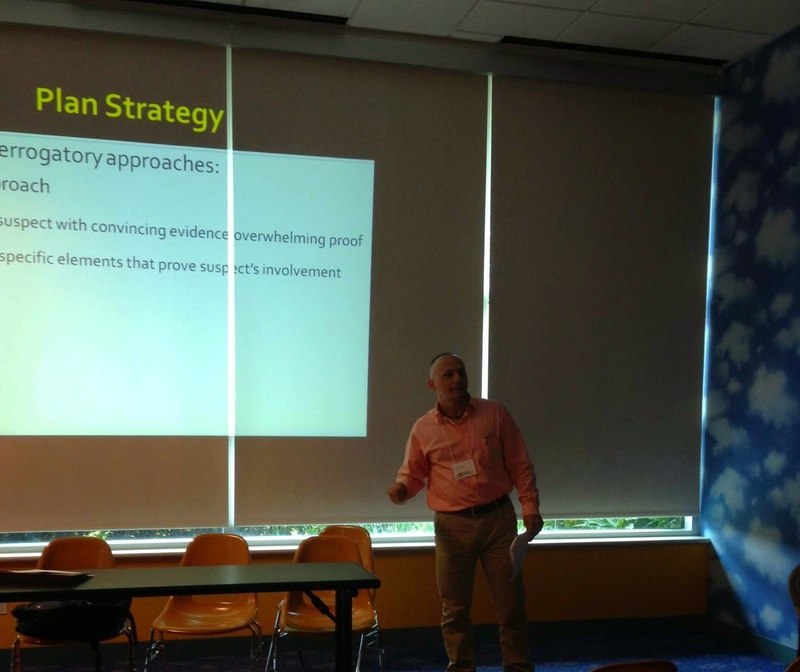 For the lunch hour, I presented a class titled “Demystifying Murder Investigations”, which was designed as a roadmap to help writers move their detectives through the entire investigative process–from the crime scene to the successful conclusion of the case. I detailed the seven basic steps of any murder investigation–complete with real world examples and techniques–and I wrapped up the presentation by explaining how that information could be translated to fiction. 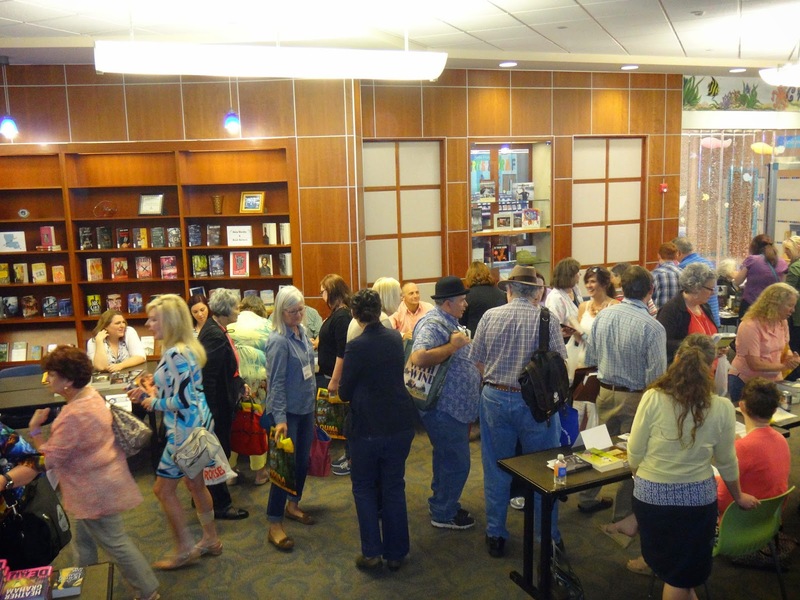 Afterward, there was the usual book signing event hosted by Molly and company from Bent Pages, and I was able to meet and speak with some nice people. I’m humbled every time someone decides to trade their hard-earned money for one of my books, and I always hope they’ll find it was worth the purchase. Later in the afternoon, I attended a great session by Literary Agent Carly Watters, who is the VP and a senior agent for P.S. Literary Agency. I recognized her name and the name of her agency, because I’d queried her in 2012 when I was shopping THE MISSING SIX, which later became THE SEVENTH TAKING. As you might imagine, I was very interested in hearing what she had to say. Carly gave a very detailed rundown of her role as an agent and my (our) role as a writer, and she described what I needed to know before querying agents. I had previously discontinued my search for an agent and decided to seek out publishers directly. This has worked out for me to a small extent, but her presentation made me reconsider my path going forward. She made me realize I need an agent to handle the business end of things, as this would allow me to concentrate solely on writing and marketing. I was able to shoot the breeze with Carly later on the rooftop deck during the Sunset Social, and I found her to be very likable. During our conversation, she mentioned that she loves country music and, well, that makes her more than okay in my book. She’s down-to-earth, extremely knowledgeable in her field, and appears very passionate about her work. Any author would be lucky to have her as an agent. Well, that’s all for now. 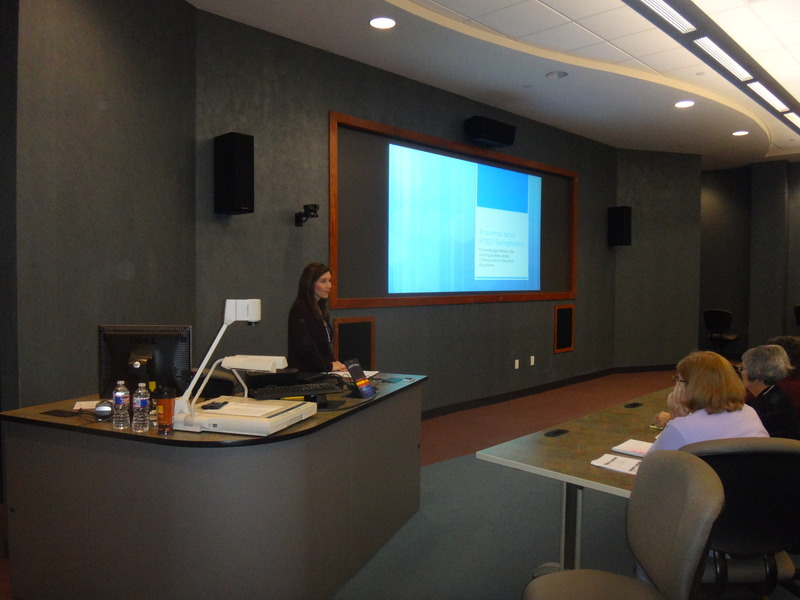 More than once during her presentation, Carly said that “writers need to write”. So, I’m going write…right after I cut the grass and take Amanda out for a run. Great day at Terrebonne Parish Library! 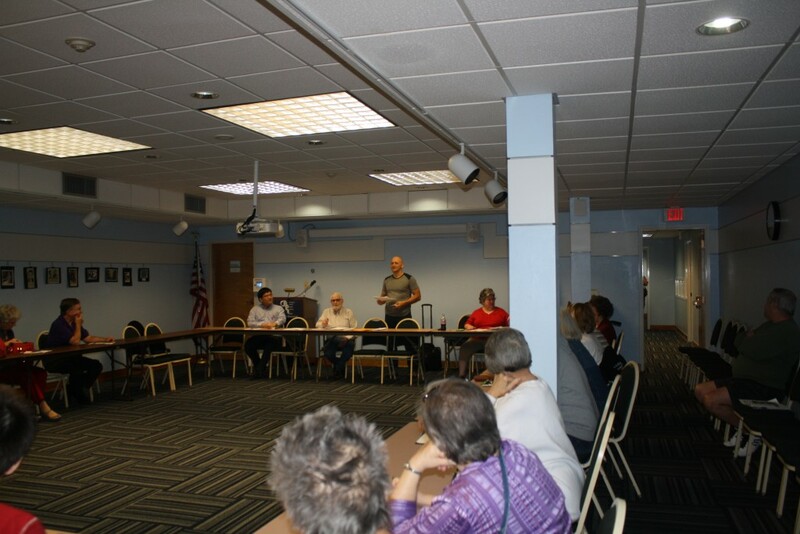 I had the privilege of speaking to the Terrebonne Literary Club of Houma today at the Main Library in Houma. For those of you who haven’t been to the library yet, it’s a must-visit. The building is state-of-the-art and the staff–especially Lauren Bordelon–is extremely helpful and friendly. As for the literary club members, they’re really cool and they made me feel at home. 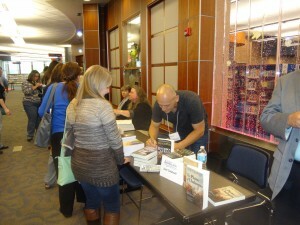 I met some amazing people, had a great time, and sold a bunch of books. 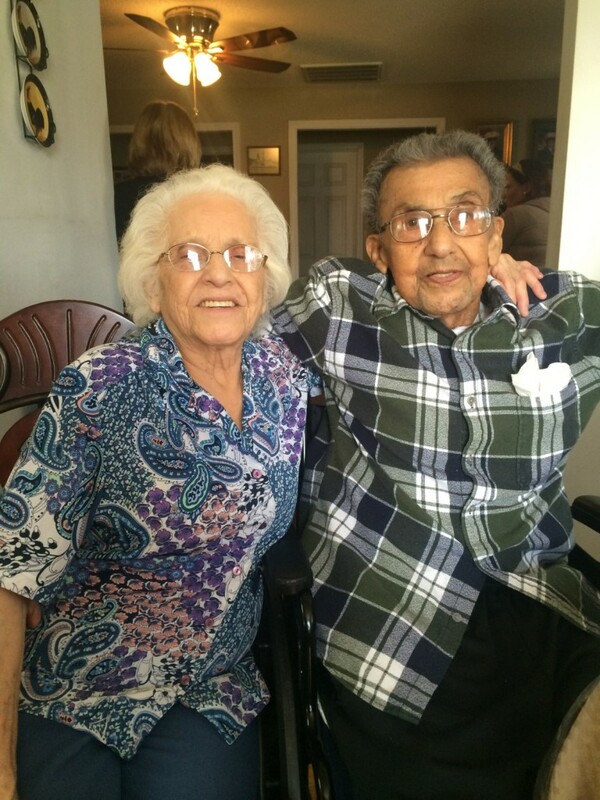 It was a very rewarding experience, and my only regret is that Amanda couldn’t be there. She would’ve loved it! Best to all and tons of thanks to the Terrebonne Literary Club of Houma for a nice afternoon! 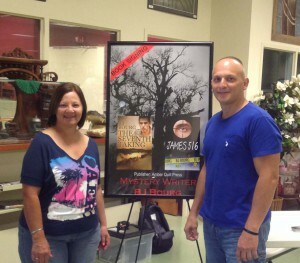 I had a great time today at the Thibodaux Public Library for my author “meet-and-greet”. I want to thank Shannon Hubbell for inviting me and for extending such a warm welcome. I met Angela, who loves Marilyn Monroe and who took a chance on JAMES 516. Thank you very much, Angela! I hope you like it! 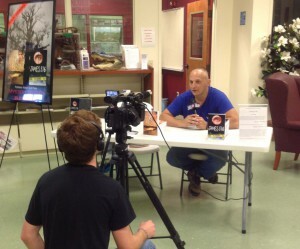 Thanks for reading and, once again, thanks to the Thibodaux Library for inviting me. 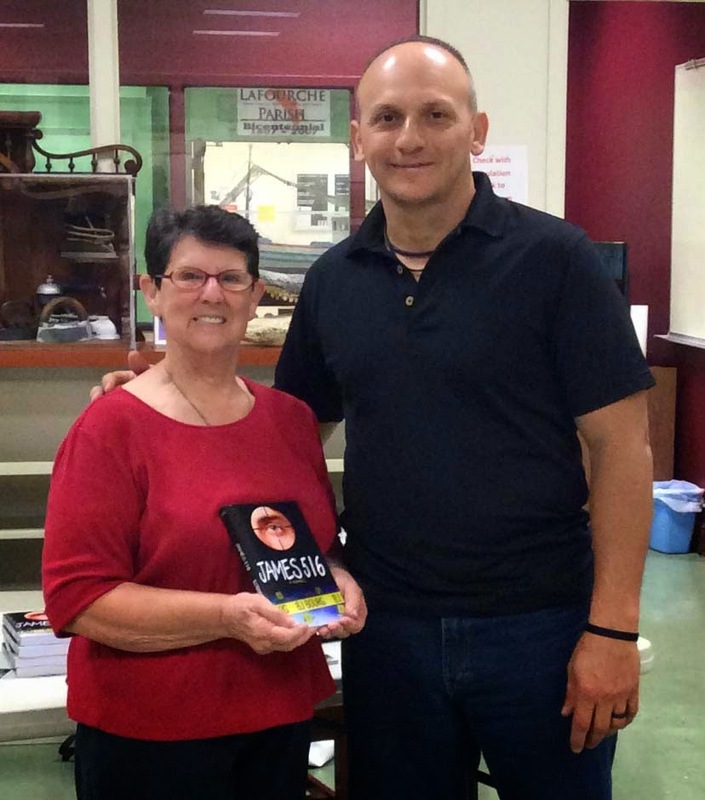 I want to thank the South Lafourche Branch of the Lafourche Parish Public Library for inviting me to an Author Visit and Book Signing event in honor of Library Appreciation Week. They extended the warmest of welcomes and made me feel at home—and what a home it is! It’s a large and beautiful facility, and it drips with local culture, as you will see in the following pictures that Amanda took. 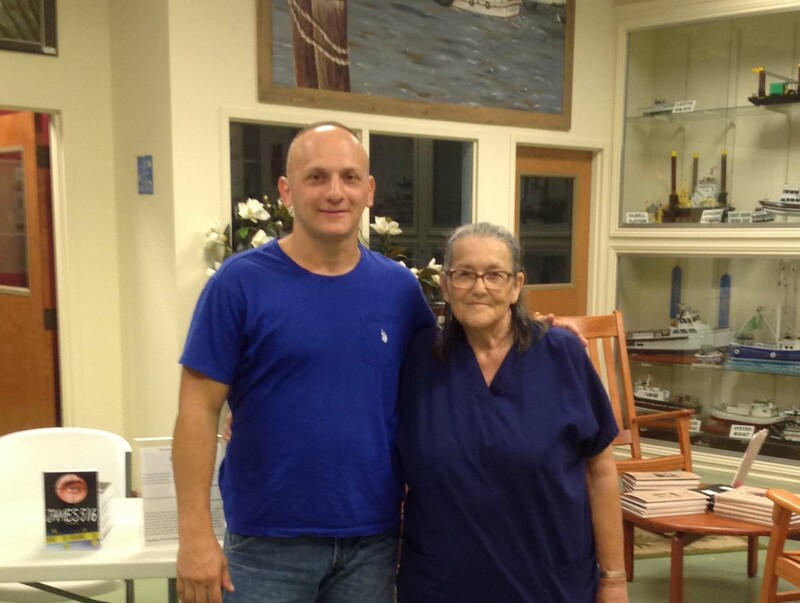 Although it rained all morning, that didn’t stop people from trickling into the library—and one of them happened to be my biggest fan, Ms. Helen Hebert. 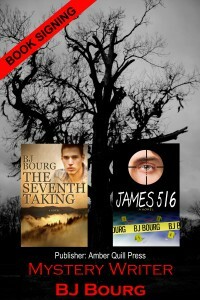 Ms. Hebert raved about JAMES516 with an excitement that humbled me. She discussed the twists in the book, talked about how surprising they were, and said she got the “goose-bumps” just talking about it—she even pointed them out on her arm! I was so unbelievably flattered to hear her go on and on about something I wrote. It was the highlight of my writing journey to this point. Her excitement was infectious and she absolutely made my day. I’m always flattered when someone leaves a positive review about one of my books on Amazon or Goodreads. However, after hearing the excitement in Ms. Hebert’s voice when she talked about JAMES 516, it made me wish I could hear every review in person and meet everyone who has read my books. I had a nice conversation with another visitor, Ms. Joyce Anselmi. It began when I saw her carrying a DVD of the television show, Orange Is the New Black. It appears we’re both huge fans of the series and she was searching for follow-up seasons. While there, Ms. Anselmi decided to take a chance on JAMES 516. I appreciate that she did and I hope she likes it as much as Ms. Hebert did. As I’m originally from the South Lafourche area, there will always be a special place in my heart for the people there. They made my first visit to the South Lafourche Branch Library as an author a memorable one, and I look forward to returning! 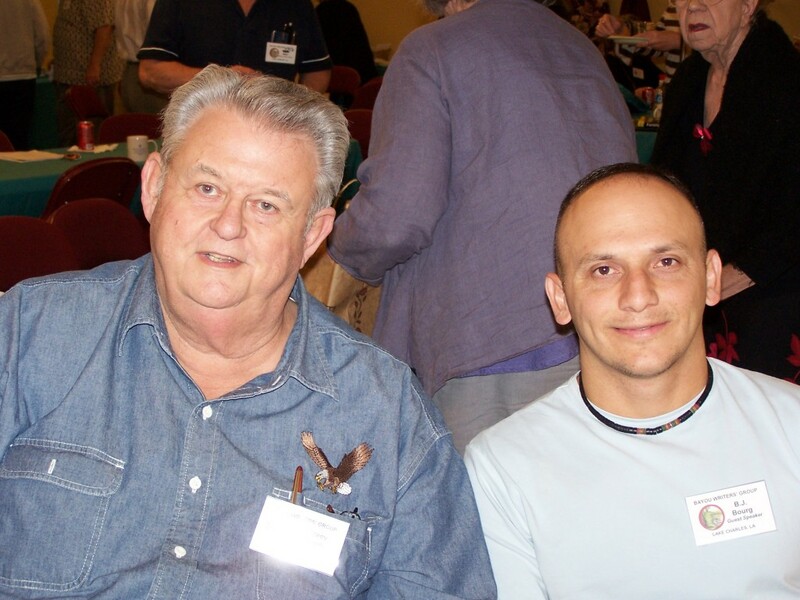 Being a novelist is new to me and, so far, the most fun I’ve had is getting out and meeting people with a passion for fiction, because reading is definitely what made me the man I am today (I may tell that story in a future post). As for now, I want to close by thanking everyone who braved the heavy rain to come out and meet me and/or purchase a copy of JAMES 516. 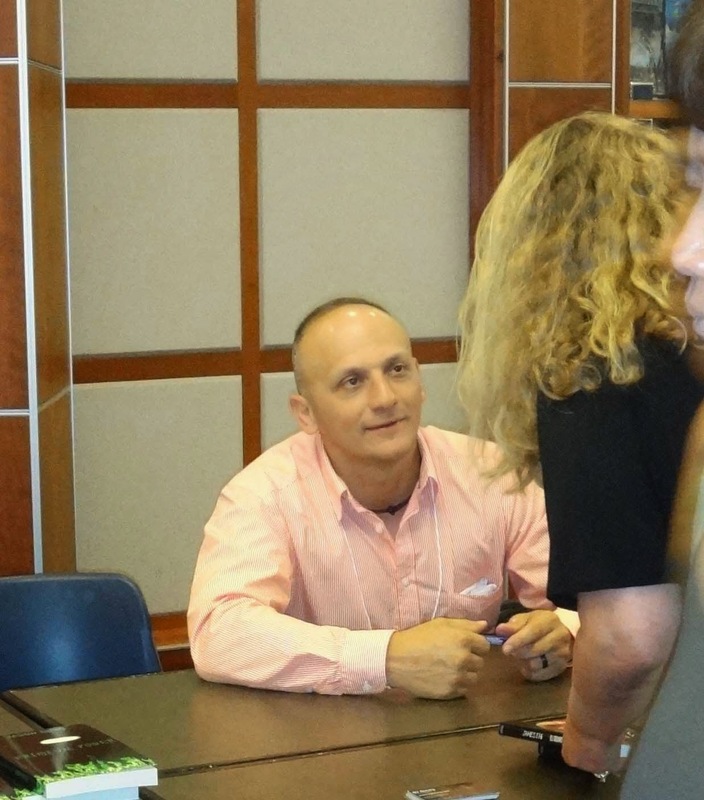 In furtherance of my commitment to assisting writers in getting their police procedural information right, I took Righting Crime Fiction on the road and presented “Two Routes to the Truth” at the Jambalaya Writers’ Conference in Houma, LA. Lauren Bordelon and her staff did a superb job of organizing this massive event and they deserve a HUGE shout-out for their hard work! Presenting at JWC 2015 was a rewarding experience and the authors who attended were extremely welcoming. 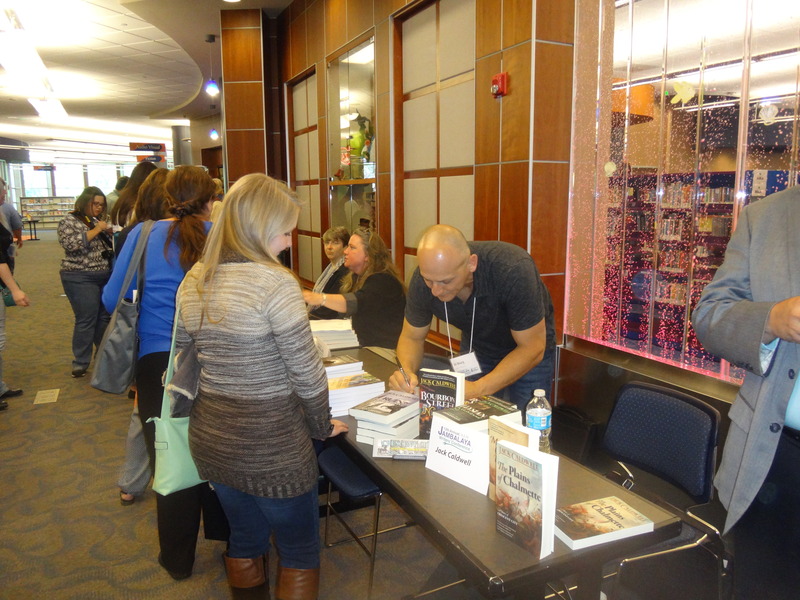 I was flattered by the many requests to speak elsewhere and excited to meet so many fellow writers. I was especially blessed to meet two teenagers who wanted me to speak to their high school reading class. Their thirst for knowledge and their air of enthusiasm was infectious. 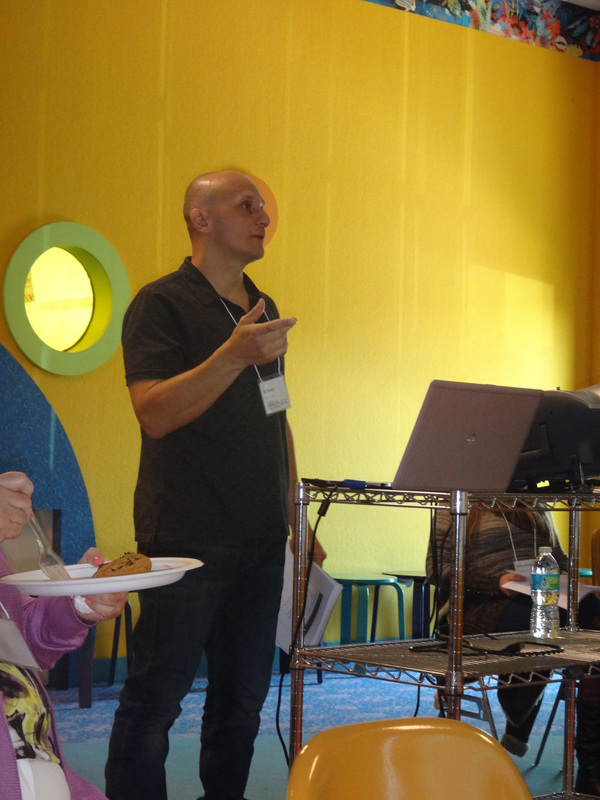 It was indeed a tremendous honor to speak with them and the other writers I met at the conference. 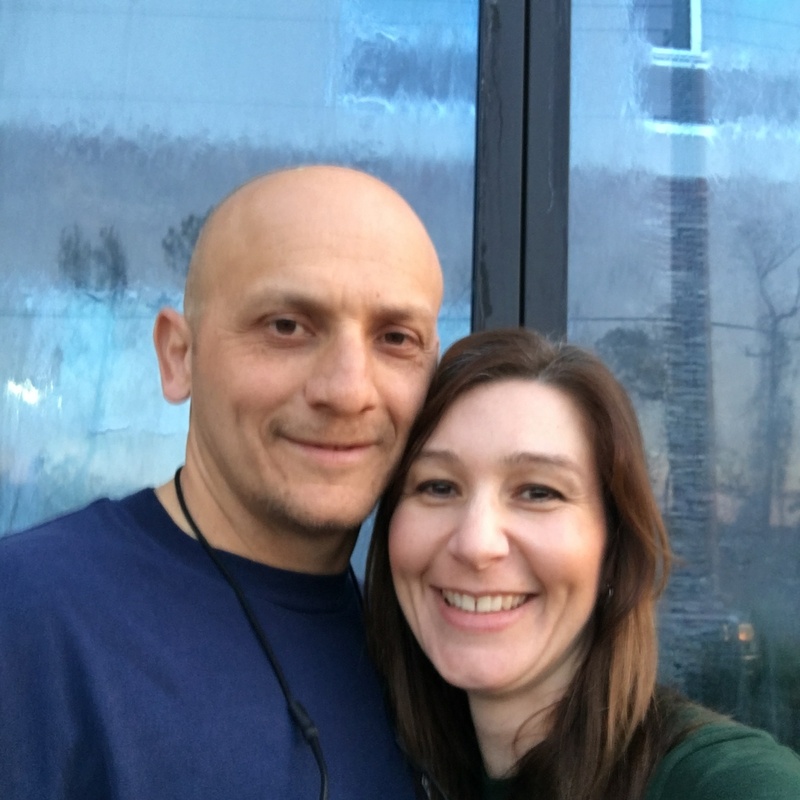 Not only was I honored to be there presenting, but my wife, Amanda, and I were thrilled to attend some informative sessions by knowledgeable experts in their fields. The first session we attended was Jennifer Sons’ “Blogging 101” and I learned things about blogging that I would never have learned on my own. Jennifer runs the blog, Through the Booking Glass, and she is a joy to listen to. Next, we attended Tom Colgan’s engaging session called “What Was (S)He Thinking”. Tom is an executive editor at Penguin Books and his many years of experience was evident as he delivered his message. Lastly, we attended the “American Idol of First Pages”, where Fredi Friedman (President of Fredrica S. Friedman & Co., Inc.), Heather Graham (New York Times and USA Today bestselling author), Regina Ryan (owner of Regina Ryan Books Agency) and Molly Bolden (owner of Bent Pages Bookstore) critiqued the first page of a number of novels that were submitted by writers who attended the conference. This session was very informative and we learned what did or didn’t work for these experts. 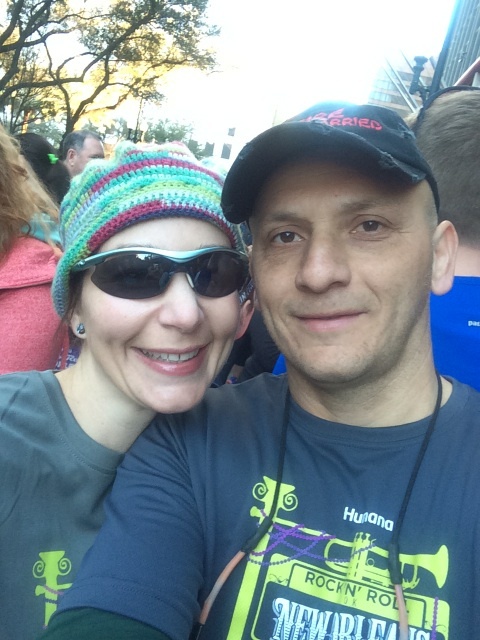 This was a great event and a memorable weekend for Amanda and me. We are looking very much forward to next year! 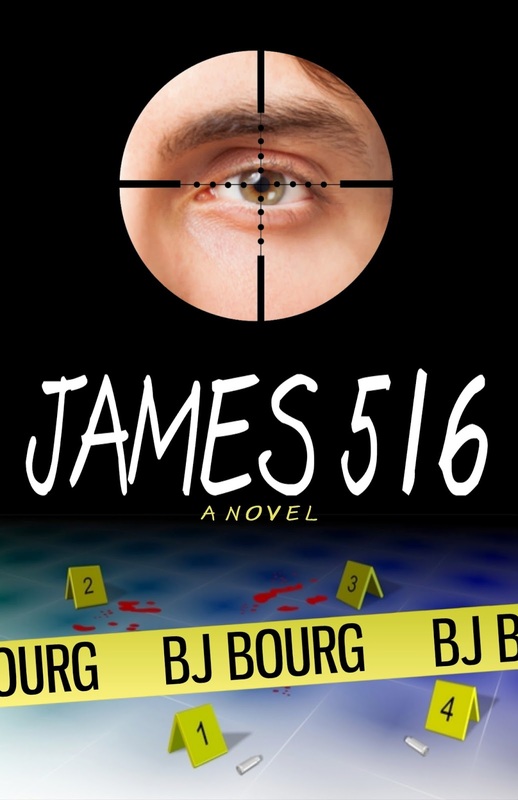 In closing, I want to thank everyone who purchased a copy of JAMES 516 (Amber Quill Press, 2014)…it’s greatly appreciated!